To use Lovecraft’s parlance, these woods should be “shunned.” They are remote and the weather there always seems to be dank and overcast. It was also where a hippie death cult dug their mass graves. Two scientists are hoping to unlock game-changing secrets of nature but they will find human remains and massively bad vibes instead in Philip Gelatt’s They Remain (trailer here), which premieres tonight at the 2017 H.P. Lovecraft Film Festival in Portland. Their division of labor is simple. By day, Keith walks around the woods with a gun, while Jessica turns dials and does science stuff in the tent. At night, they talk about the project in maddeningly vague terms as they try to ignore their shared sexual tension. However, the discovery of the area’s connection to an infamous Manson-People’s Temple cult throws them off their routine. They worry the area’s history could adversely affect their double-secret project, but their corporate paymasters assure them everything is cool. Nevertheless, the news that a team of forensic anthropologists went a little crazy in these environs not so long ago makes them justifiably uneasy. The hallucinations don’t help either. After three films, the jury is still out on Gelatt. The ugly and grisly Bleeding House, his feature debut as director and screenwriter was an intolerant and manipulative attack on Evangelicals that brought nothing new to the horror table. On the other hand, his screenplay for Sebastián Cordero’s Europa Report (also screening at the festival) was muscularly lean and inventive. Frustratingly, Remain is not a conclusive tie-breaker. There is no question Gelatt demonstrates plenty of skill and craftsmanship. He maintains a vibe of eerie foreboding throughout the film, even though he reveals precious little. Viewers can just feel something sinister is going on just beyond their field of vision. Arguably, it becomes too much of a good thing, because at some point we expect the narrative to kick into high gear, but it never really does. We just get more mood and vaguely defined menace. 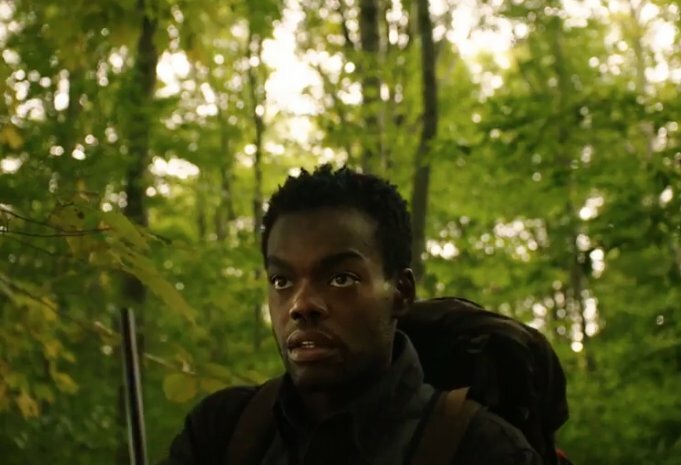 Still, William Jackson Harper and Rebecca Henderson quite nicely rise to the challenge of the near-two-hander (aside from a rat-like corporate stooge here or there). Their characters’ pragmatic professionalism is also rather refreshing, especially since it spares us a lot of histrionic bickering. Remain does not rely on a lot of visual effects per se, unless you count Sean Kirby’s evocatively ominous cinematography. It is sort of like For the Plasma’s more focused evil cousin or a somewhat less immersive Without Name. They Remain has its merits, but Europa Report is still the Gelatt film to see when they both screen tonight (10/7) at the H.P. Lovecraft Film Festival.